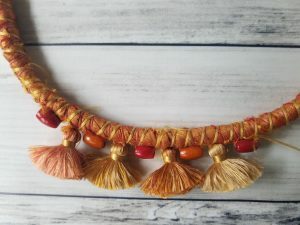 A one-of-a-kind piece of wearable art, this bohemian tassel necklace will add a pop of color to liven up your look! 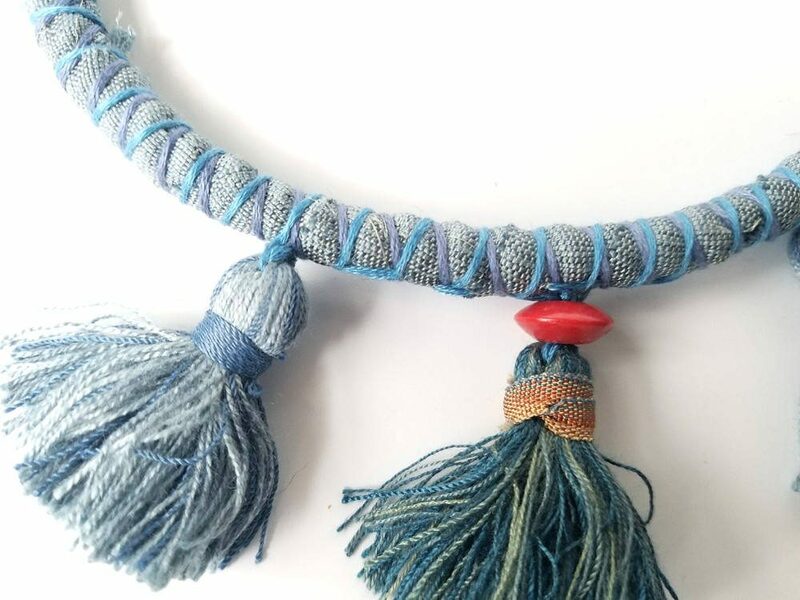 It’s blueish-gray color is sure to go with many different outfits. 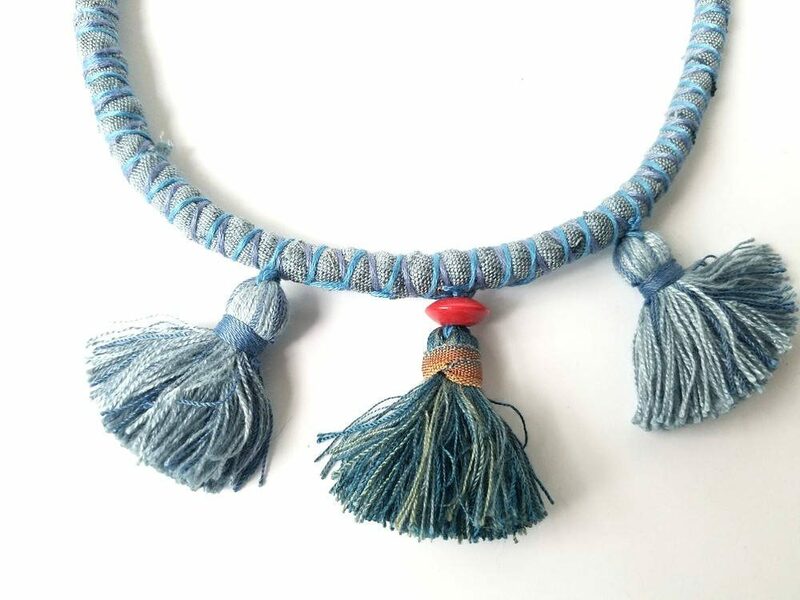 This ethnic necklace is adorned with three tassels, and has a single red wooden bead for added interest. 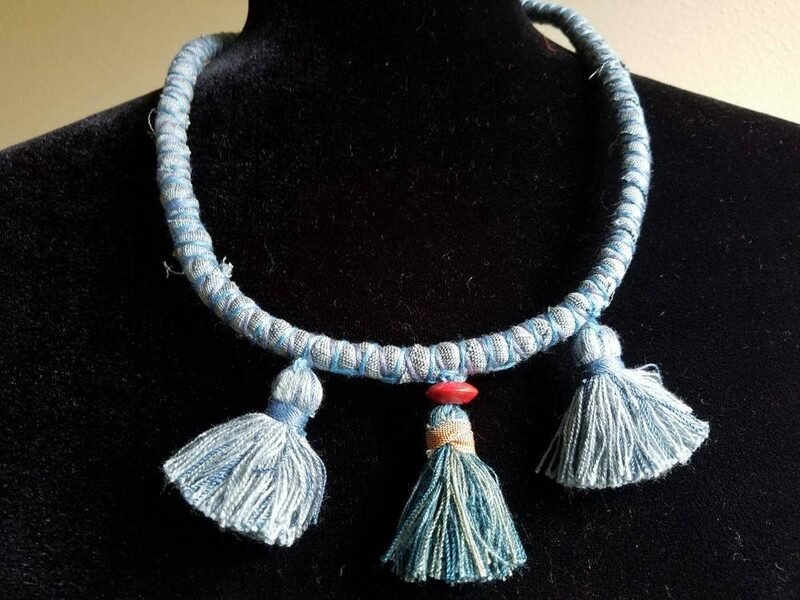 Get it for yourself, or give as a special woman in your life! 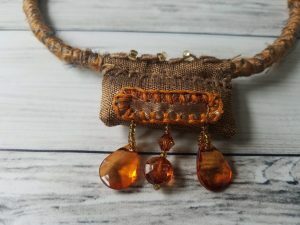 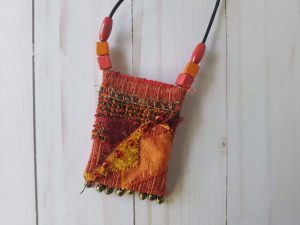 – Three long textile tassels. – Blue silk and other fabrics. 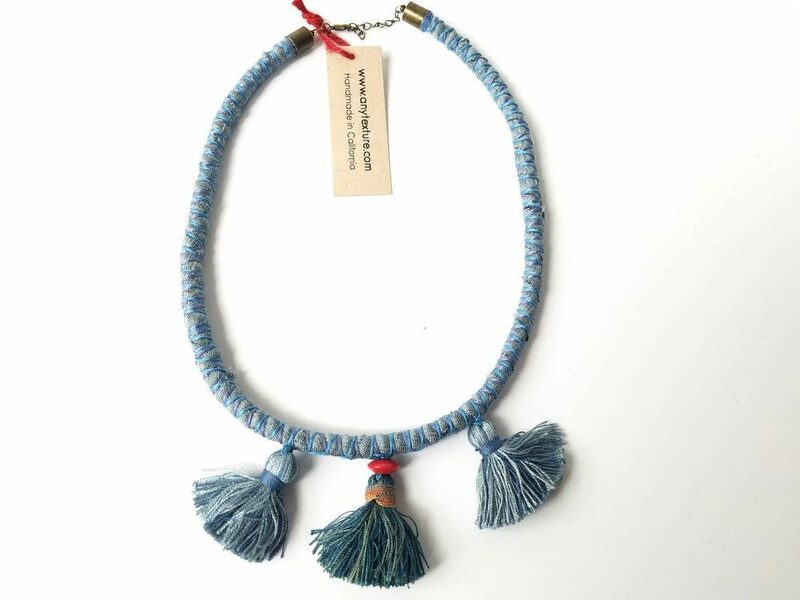 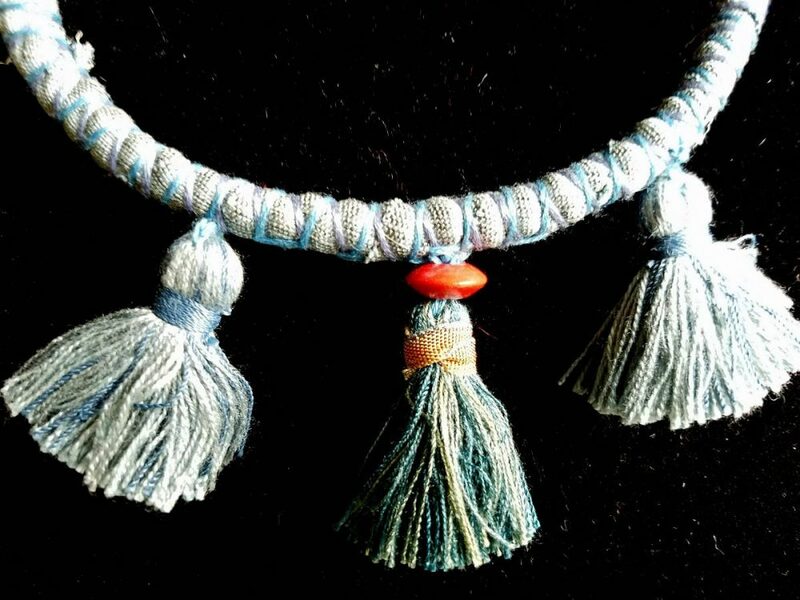 – Features three blue tassels. 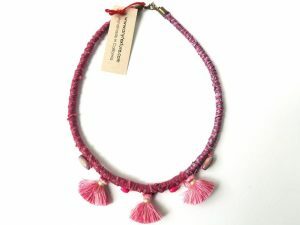 – Adorned with a red wooden bead for a pop of color.